Durham, NC – I’m happy to share that I’ll be teaching two courses this fall at Center for Documentary Studies at Duke University. 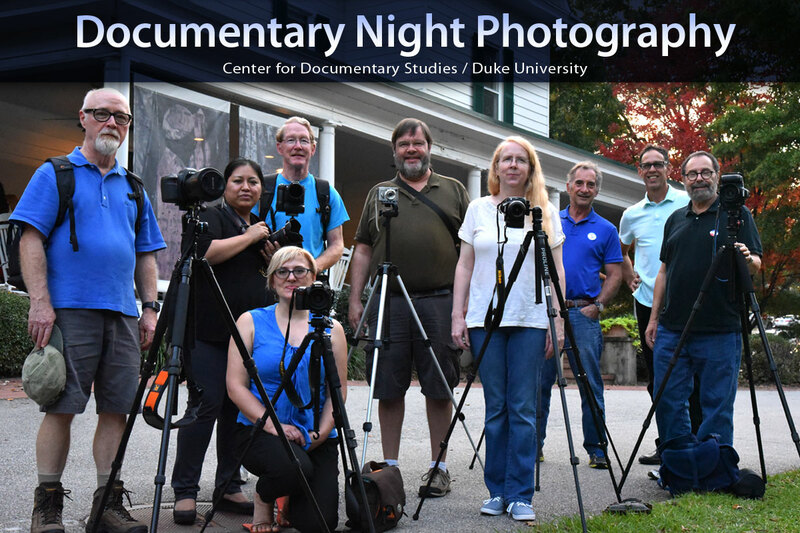 For the fourth consecutive year, Center for Documentary Studies is offering Documentary Night Photography. The course runs for six weeks on Mondays from September 24 to October 29, 2018. Each class includes 1 hour of instruction and 2 hours on the street. The last class is a retrospective. This spring, I taught my first class of Smartphone Filmmaking students. It was a large class – 11 students – and CDS is offering it again in the fall. Each class has three segments: Film Theory, Film Practice and Smartphone specifics. The course covers the entire process from idea to finished video. This past semester, my assignment to the class was to conceive and produce a recipe video. Over the course of six weeks, students came up with ideas, prepped, shot and edited their recipe videos. The results were hilarious, delicious and revealing as much about the filmmakers as the food. Smartphone Filmmaking runs for six weeks on Mondays from November 5 to December 10, 2018.